6 track EP from Oakland's Misfitz Ov Style. 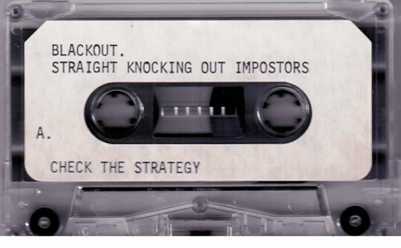 According to Discogs this came out in 1996, 2 years before their debut album. Shouts out to KaliYuga Pro for hooking this up and Jonny Paycheck for bringing the group to my attention. Check Jonny's post on Cocaine Blunts for more info on the crew. *There are 7 tracks, whoever ripped the tape separated the outro to it's own track. When I first started checking for records online I discovered the classic and now defunct Vinyl Exchange run by Dj Stef. As I normally do, I spent most of my time lurking in the forums, reading threads and trying to gather knowledge. The Vinyl Exchange was one of the first websites I found myself checking multiple times a day, mainly because the articles were on point and the forum was full of good people sharing information...the old label scan thread introduced me to a lot of great rap records. 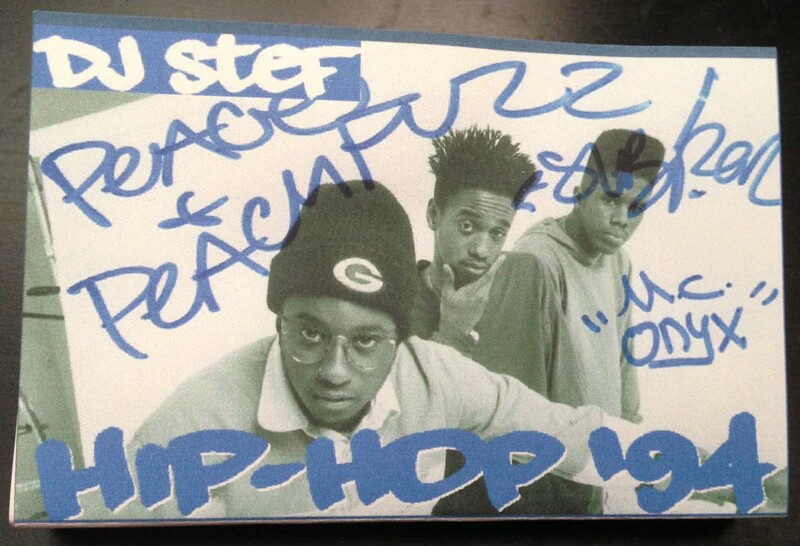 In early 2004 I reached out to Stef for a copy of her Hip-Hop 94 mixtape, shortly after my request and before the tape arrived I went on a 4 month trip to Europe. When I returned home I was tired of the music I had on the trip, I was excited to see a small bubble mailer had arrived with some new music. I think this tape spent the next 2 months on bump in my car, it was hard to take it out of the deck when it had so many good tracks and flowed together so seamlessly. I ripped the tape just over a year ago, since then I've listened to it a few times I still enjoy it to this day. Thanks again to Stef for hooking this up. 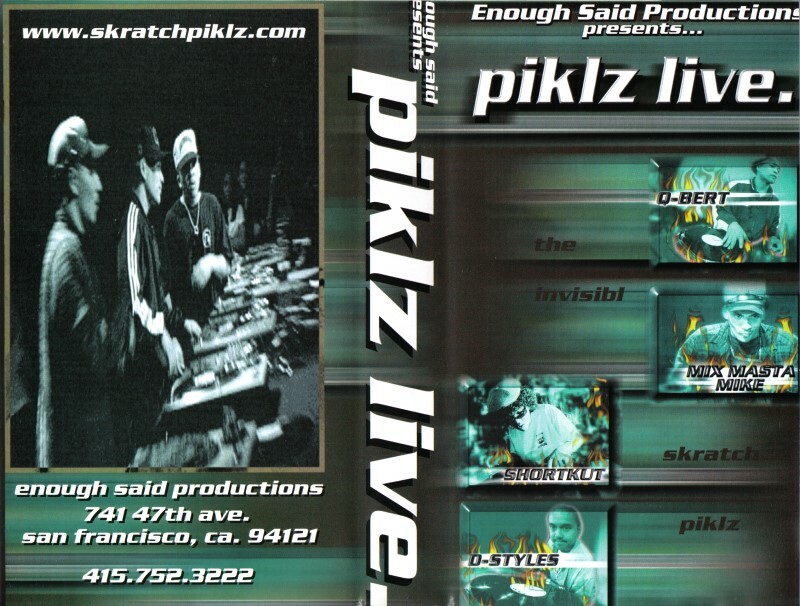 40 minutes of live routines from the Invisibl Skratch Piklz. All the footage was recorded between 1996 and 1998 in San Francisco. Guest appearances from Swiftrock, Streak, and Mike Relm. 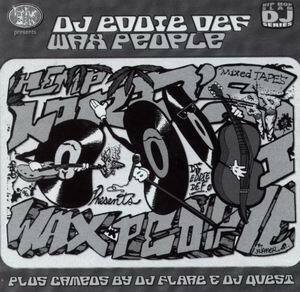 Some good on fashioned turntabalism from Eddie Def, featuring guest appearances by Dj Quest, and Dj Flare. 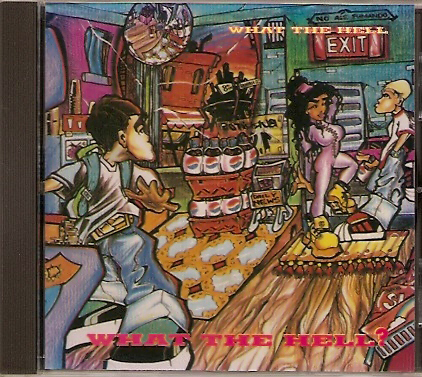 Growing up near Vancouver this album was a bit of an urban legend, people knew it existed but no one seemed to have it. Looking for this album was never too high on my priority list as I was never a big Swollen Members fan, but I did respect Flipout. It wasn't until 5 years after I first heard about it that I was able to get my hands on a copy (thanks internet), I enjoyed the album more than I thought I would, and to this day it still sees some play.